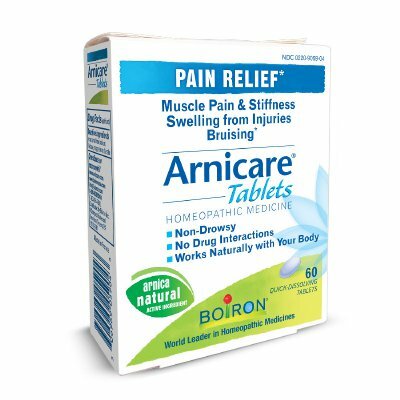 Arnicare Tablets provide general pain relief and may be combined with an Arnicare topical. These quick-dissolving tablets do not cause drowsiness or interact with other medications. At the onset of symptoms, dissolve 2 tablets under the tongue and repeat every hour for 2 more hours. Then, dissolve 2 tablets under the tongue every 6 hours until symptoms are relieved. Dissolve 2 tablets in 1 tablespoon of water for easier intake. Stop use and ask a doctor if symptoms persist for more than 7 days or worsen, if new symptoms occur, if redness is present, or if swelling increases, because these could be signs of a serious illness.